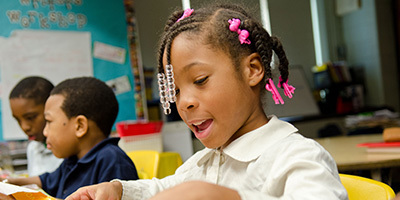 The National Center for Urban Education is grounded in social justice and works to cultivate and sustain innovative, resilient, and effective educators for urban schools and their communities. 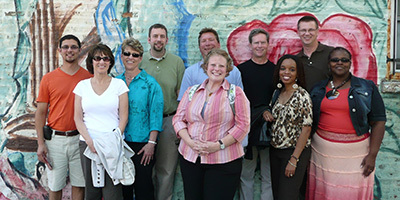 Over 90 courses at ISU focus course content on our partner urban communities with embedded clinical immersion experiences in Chicago, Decatur, and Peoria. A four-week immersive fellowship available in partner city that includes classroom experiences, summer programming, a community-based internship, professional development, guided reflection, and residency with a host family. 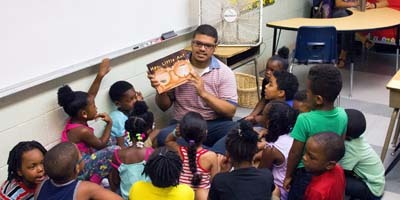 With year-long or semester-based options, ISU student teachers are afforded opportunities to live in community-based housing and work in after-school programs. The National Center for Urban Education and its partners are dedicated to helping graduates find teaching positions in urban partner cities. New teachers are offered mentoring with professional development throughout the school year with opportunities for to network and enhance teaching and learning in the classroom. NCUE cultivates young and aspiring educators to serve urban and high-need classrooms across Illinois and beyond. This includes programming at both the high school and university levels. 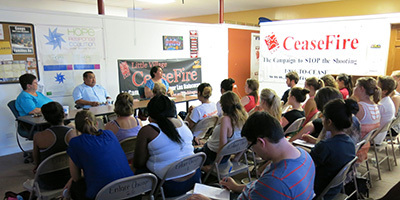 Learn how to get involved! INFUSE enables special education majors to fulfill key course sequences and complete both field-based and student teaching semesters in Chicago Public Schools (CPS). The 2019 CDG RFP has been released! Applications are due on March 25, 2019. "I have devoted myself to working in a high-need school within CPS because I want my students to feel empowered. I want my students to utilize the potential that burns inside them." The Chicago Teacher Education Pipeline at Illinois State University takes a step beyond conventional cultural competency training by immersing their teacher candidates in Chicago's highest-need communities—part of a month-long intensive fellowship called STEP-UP. 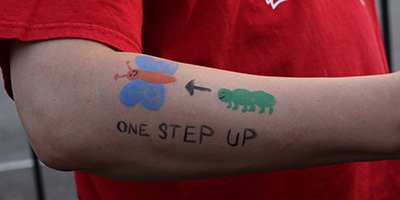 STEP-UP featured on WTTW Chicago Tonight! 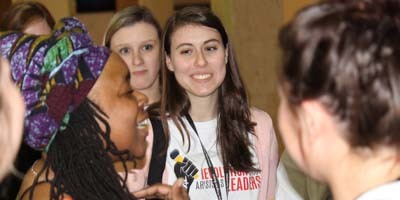 For incoming Illinois State University senior Leah Kuhn, learning starts at home. This summer, home is the Little Village residence of her host, Ciria Ruiz, who is helping her learn Spanish. Since the fundamental idea behind culturally responsive teaching is knowing one's students and their histories intimately, some teacher-preparation programs are tackling the challenge by increasing how much time teacher-candidates spend with the students they will one day end up teaching.